Roomba Indoor Rollator Lightweight, Easy To Manoeuvre. Introducing the Roomba indoor rollator - a walking frame packed with features that has been developed for indoor use. 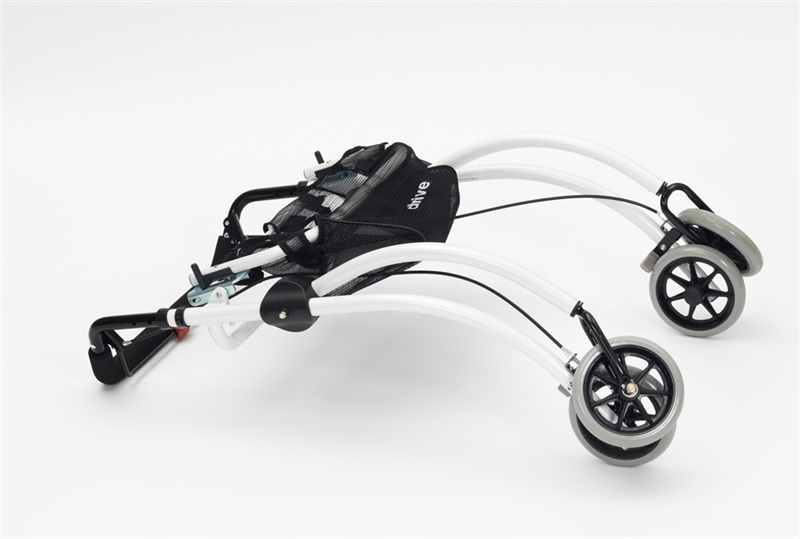 The Rooma rollator has a stylish black and white colour scheme, and is deceptively lightweight (at just 6.5 kg). Being so lightweight, combined with its full width soft foam rubber handlebar means it couldn't be easier to manoeuvre. In fact, with its full length brake handle (that can be used one handedly), this rollator is particularly suitable for people with hemiplegia, following a stroke, for example. To top it all off, this item comes with a useful tray and textile bag as standard. 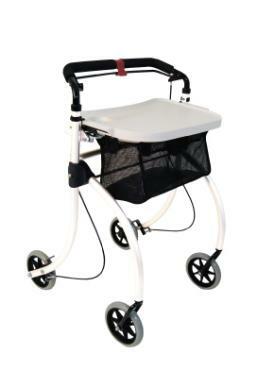 A lovely little rollator , very easy to use and manouvere around my furniture.Its very nice and modern looking, and I am very pleased with this. Very quick delivery .